Speed51.com will be on hand to bring you the latest news from the track on Saturday and Sunday. Big PASS and ACT Shows on Tap, Old Rivals to Race Again? There will likely be over 240 cars among several different divisions coming to Beech Ridge Motor Speedway (ME) this weekend for the Pullen Heavy Industries 400. An estimated 80-90 Pro Stocks will be in the house (with about 60 in the Super Late Model main event and 25-30 in the 2 barrel race), 70 -80 Limiteds are expected, along with 65 plus Wildcats (also known as strictly or hobby stocks). There are also 15 or so PASS Modifieds expected at the track. There will be practice on Thursday and Friday and grandstand admission will be free on both of those days. Saturday brings qualifying heats and consis plus a $1,000-to-win 75-lap Wildcat race and a PASS Modified feature. On Sunday, it's the Outlaw Late Model 75 ($2000 to win), the PASS "B Main", the second PASS Modified feature, the 100 lap $5000 to win Limited feature and the 300 Green flag lap, $15,000 to win PASS race. PASS officials team us that teams from Quebec, the Canadian Maritimes Connecticut, Rhode Island, Massachusetts, Maine, New Hampshire, Vermont and New York will be on hand representing tracks that include Seekonk, Thompson, Lee, Star, White Mountain, Canaan, Speedway 95, Unity, Twin States, Oxford, Groveton, and, of course, Beech Ridge. All of the PASS regulars will be there as well as Beech Ridge regulars Alan Tardiff, Brockie Gerry, Bobby Babb, Steve Carrier, Bill Rodgers and Jay Sands. Expected invaders include Bobby Gahan, Chuck Denhey, Jimmy Renfrew, Pistol Pete Fraser, Jimmy Rosenfield, and lots more. There will be race weekend camping at Beech Ridge. All campers must stop at the camper registration area opposite the front gate of the speedway to pay the $20 fee (no checks) and to fill out their registration form and obtain parking credentials. The camping fee is to cover the cost of security and clean up. All campers must be self-contained, and dumping of gray water is absolutely prohibited. It doesn’t seem like it has been too long ago when Long Islanders Steve Park and Mike Ewanitsko put on some classic Modified battles. The two drivers raced hard on the track and shared a friendship off the track as well. In recent seasons, Park has raced in the top three divisions of NASCAR and Ewanitsko has been sitting out due to eye injuries. In the past two years, they have each made one start on the NASCAR Whelen Modified Tour. Next weekend, they will likely be back racing head-to-head at Stafford Motor Speedway. 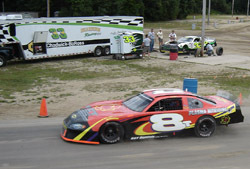 Park is entered in the Stafford Fall Final, driving a #83 car fielded as a team car to Ted Christopher, while Ewanitsko told Speed51.com at New Hampshire that he will be likely to enter the event with his #36 car. The Fall Finale will take place on October 2nd at Stafford. Fendered racing fans in New England will have a choice to make this weekend. As we’ve already told you, the Pullen Heavy Industries 400 weekend is set for Beech Ridge Motor Speedway (ME). That’s not all for this weekend. A little more than an hour south on I-95 will be another major stock car race with the $10,000-to-win REMAX Alliance National 150 at Lee USA Speedway. This ACT race will pit the best regulars of the series against a healthy field of Lee regulars, including track champion Scott Bonney. The race will take place on Sunday afternoon and is likely to have more than 60 cars on the entry list. Speed51.com plans to be at Lee to bring you coverage of the ACT Late Models. SANTOS BACK IN A MOD? Bobby Santos, III told Gary Denko on this week's The Speedway Line Report radio show that he has been talking with the #14 Bear Motorsports team about possibly finishing out the season on the NASCAR Whelen Modified Tour with the team. 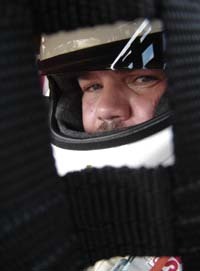 Santos has a break in his USAC Racing schedule and would like to compete in races at Stafford Motor Speedway and Thompson International Speedway in Connecticut.